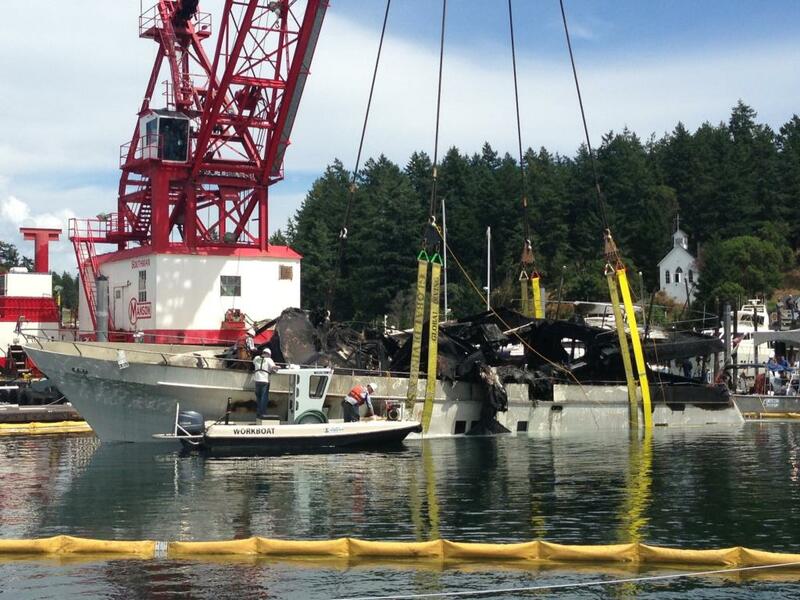 Salvage of Yacht Destroyed By Fire in Roche Harbor - Global Diving & Salvage, Inc. 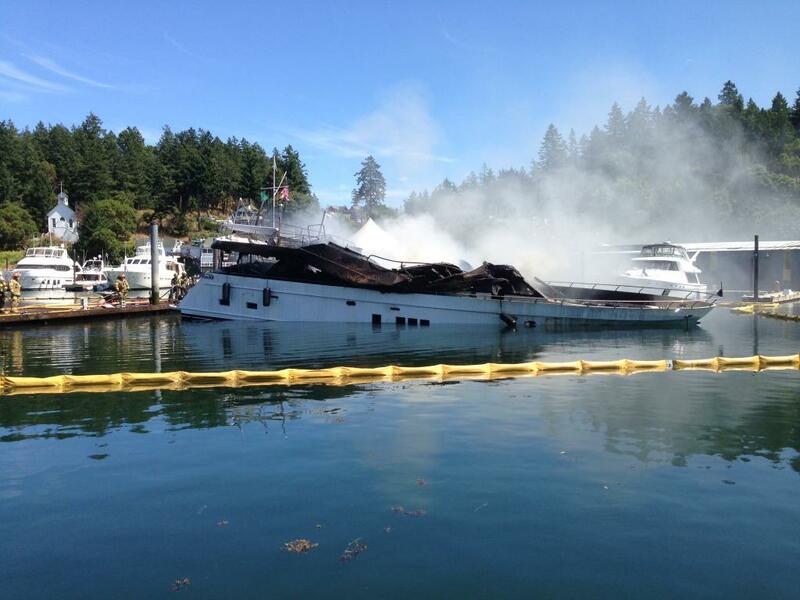 In the morning hours of July 10, 2013, while moored at a dock in Roche Harbor Marina in the San Juan Islands, a newly built 85 foot motor yacht caught fire and burned. Firefighting efforts ensued, however, the vessel sank at her mooring. Responders deployed oil containment boom around the scene to contain debris and fuel from the vessel, and Global Diving & Salvage, Inc. was contacted. 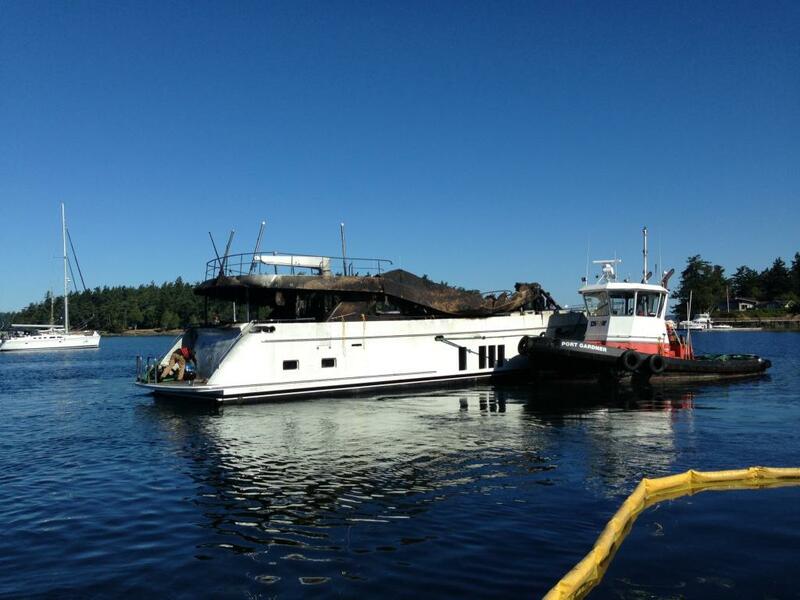 Under contract to the yacht’s owner, Global mobilized personnel and resources from its Seattle headquarters and Anacortes operations to respond to the incident. The team conducted an underwater survey of the vessel and mitigated the environmental threat. Global’s Marine Casualty Response group developed a salvage plan which was approved by the State and Federal agencies overseeing the incident. Global contracted Manson Construction to provide crane lifting services utilizing specialized salvage rigging equipment designed and maintained by Global. Under direction of Global’s Salvage Master, divers rigged the hull of the yacht, then raised it from the seafloor and returned it to a floating condition. 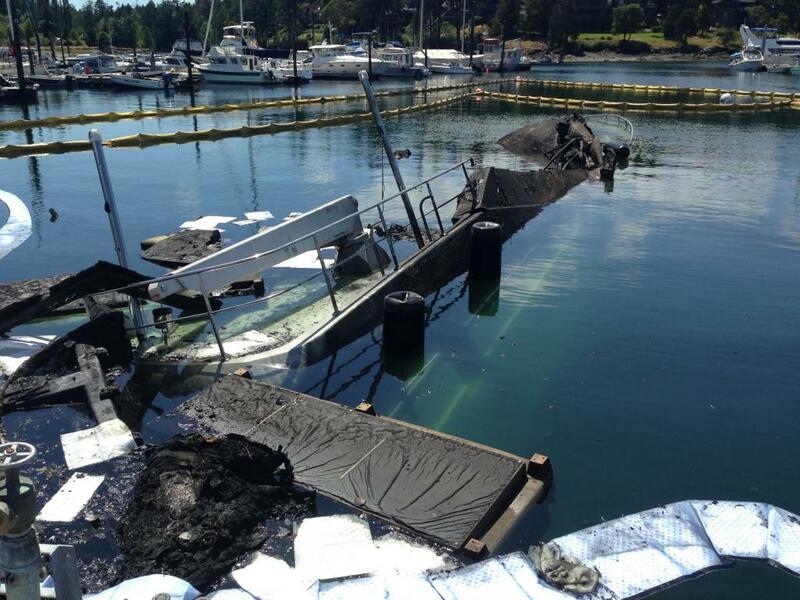 Crews removed the remaining fuel and other hazardous materials; it was reinspected and deemed safe. The vessel was towed to a boatyard where it was removed from the water.